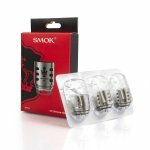 Fuel your Smok TFV12 Prince with the highest quality mid wattage vaping experience with a 3 pack of Smok TFV12 Price Replacement Coils. 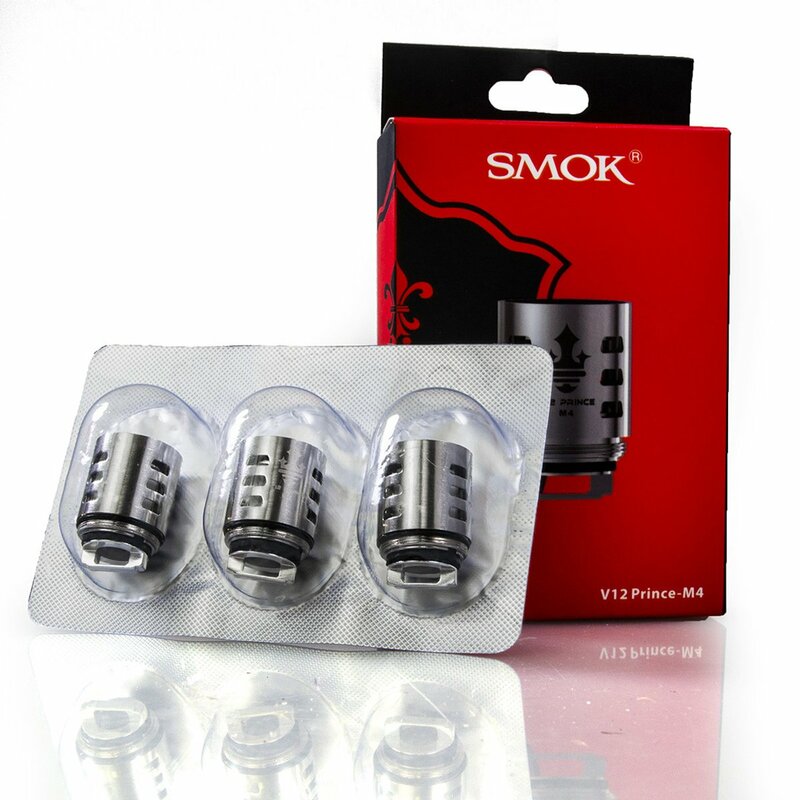 This pack of replacement coils provides a variety of resistances and an incredible range for up to 120 watts of variable wattage output. Perhaps the most notable of these coil heads it the TFV12 Decuple Coil Head. This incredible coil head provides 0.11 ohms of resistance along with a wattage range of 60 - 120 watts of variable wattage power. Additionally choose from the X6 (50 - 120 Watt Range) providing 0.15 ohms with a sextuple coil configuration can give you maximum clouds and flavor, Q4 (40 - 100 Watt Range) providing 0.4 ohms the Quadruple Coils aimed towards maximum airflow along with maximum flavor and M4 (30 - 70 Watt Range.) having a .17ohm reading which allows them to heat up a lot faster a lower wattage. 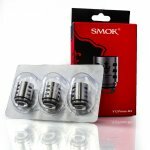 Be sure to get your Smok TFV12 Price Replacement Coils (3-Pack) today!